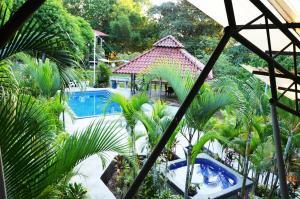 ﻿ Best Price on The Orchid Tree B&B Costa Rica in Atenas + Reviews! 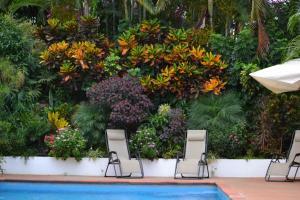 Located in Atenas, The Orchid Tree B&B Costa Rica offers accommodations with a terrace and kitchenette. Complimentary WiFi is offered. There's a seating and/or dining area in some units. Guests at the bed and breakfast can enjoy a continental breakfast. 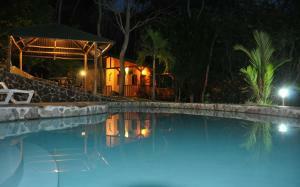 The Orchid Tree B&B Costa Rica has a year-round outdoor pool. A grill can be found at the accommodation, along with a garden. San José is 22 miles from The Orchid Tree B&B Costa Rica, while Alajuela is 12 miles away. The nearest airport is Juan Santamaría International Airport, 14 miles from the bed and breakfast.